Republican presidential hopeful and former Florida Gov. 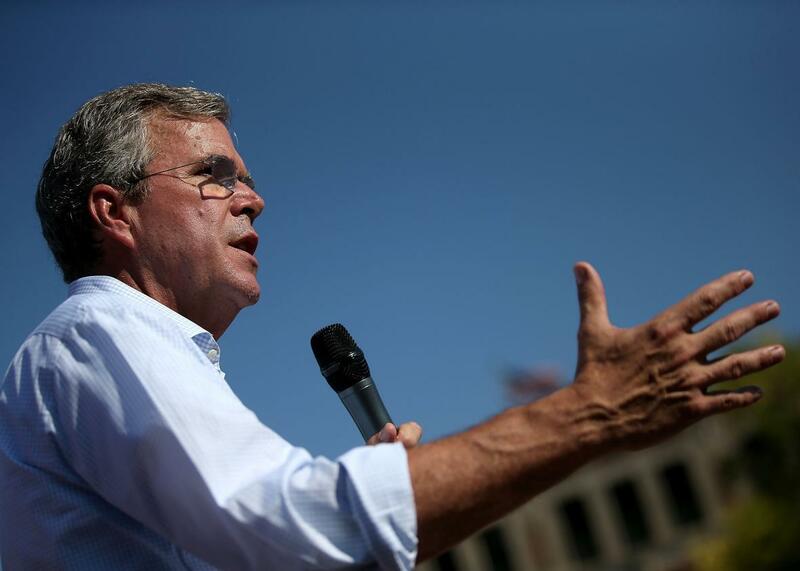 Jeb Bush speaks to fairgoers during the Iowa State Fair on August 14, 2015 in Des Moines, Iowa. Once again, Jeb Bush seemed oddly unprepared for a question about one of his brother’s most controversial policies that his campaign should have seen coming from a mile away. We can infer from Bush’s comments—America doesn’t torture, but he won’t rule out waterboarding—that he does not consider waterboarding to be torture. He believes, in other words, that a technique described by the CIA itself as a “series of near drownings” that induce “convulsions and vomiting” and left one detainee “completely unresponsive, with bubbles rising through his open, full mouth” does not constitute “severe pain or suffering, inflicted for the purpose of obtaining information,” as torture is defined under an international treaty the U.S. has ratified. That may soon become an even tougher position to justify. In June, the Senate overwhelmingly passed an amendment sponsored by John McCain and Dianne Feinstein to the 2016 National Defense Authorization Act that would limit interrogations, including those by CIA personnel, to techniques authorized in the Army Field Manual. The manual rules out waterboarding in addition to hooding, sexual humiliation, extreme temperatures, and other “enhanced interrogation” techniques. Assuming the amendment survives the final combined version of the bill, and that the act survives a threatened presidential veto over an unrelated defense spending dispute, the techniques Bush doesn’t want to rule out may soon be specifically prohibited by U.S. law. Waterboarding is currently prohibited by an executive order that Obama signed soon after taking office, which could be rescinded by his successor. Bush isn’t the only candidate being coy on the issue. Marco Rubio, who has indicated in the past that he believes waterboarding may be useful, was the only senator not present for the vote on the McCain-Feinstein amendment. The majority of Republicans did vote for the measure, but evidently taking a clear stance on torture isn’t a good look when you’re running for president.